Until now, apps that were “added to Favorite” by users were visible in the “Favorite” category, and just consisted in a list of apps. 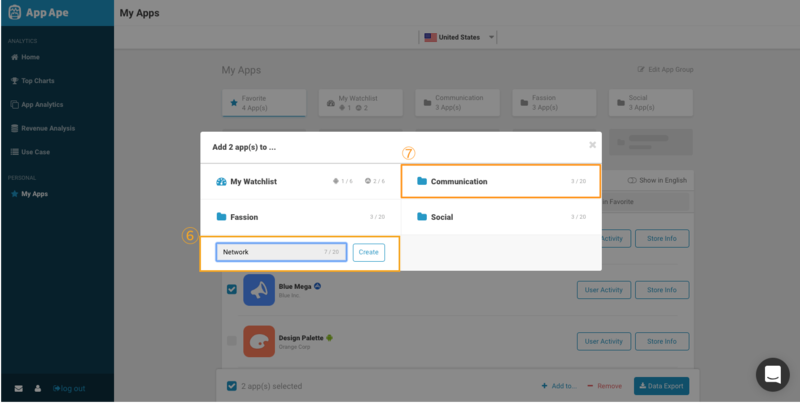 “My Apps” now offer you the possibility to sort them into up to 8 different groups, according to your needs, but also to manage the “My Watchlist” available on the dashboard home page. This Watchlist was previously set automatically according to the order on which an user added apps to “Favorite”, this update now makes the management of the Watchlist much easier (check below to find out why). 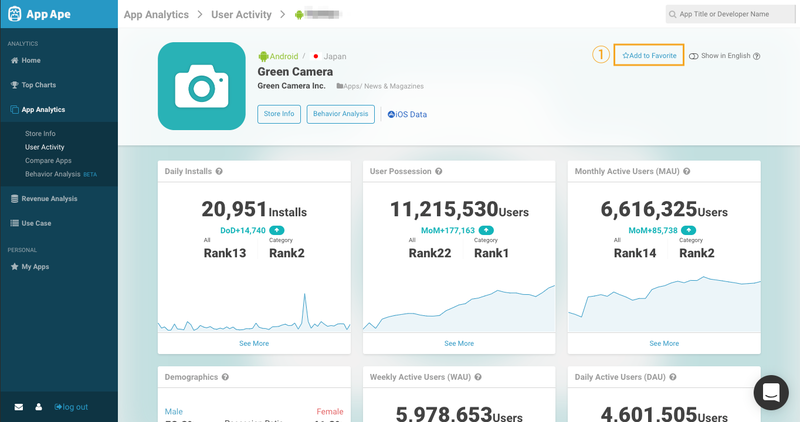 The apps groups creation feature lets you sort your apps according to your benchmarking needs, and grants you the possibility to download the data of all the apps in that group collectively, in order to optimize your daily operations. Users who set their Watchlist before the update will need to adjust their preference settings again because they have been reset. The apps previously registered in the Watchlist are now stored among the favorite apps. ① Click on “My Apps”. ③ Choose apps you would like to add to your Watchlist. ④ Click “Add to” on the bottom of the screen. ⑤Click on “My Watchlist” to complete the procedure. *Up to 6 applications can be added for each OS (Android and iOS). 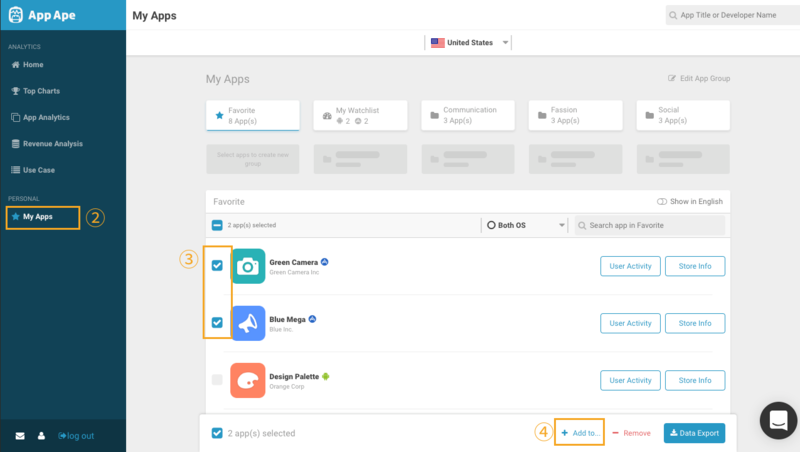 ③ Select the apps to be added to apps groups. 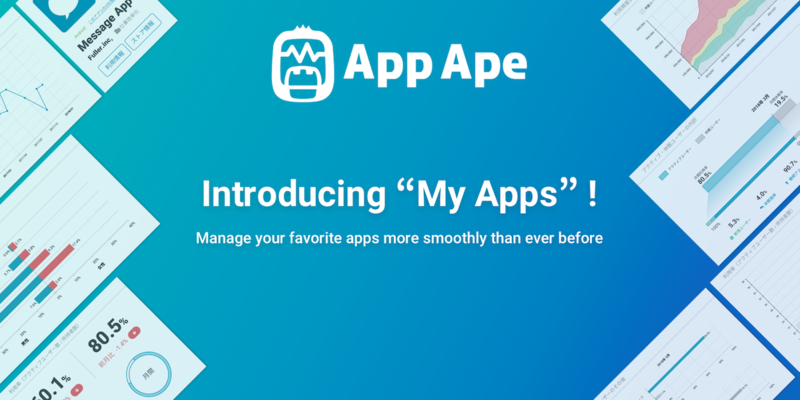 *Up to 20 apps per group. ④ Click on “Add to” on the bottom of the screen. 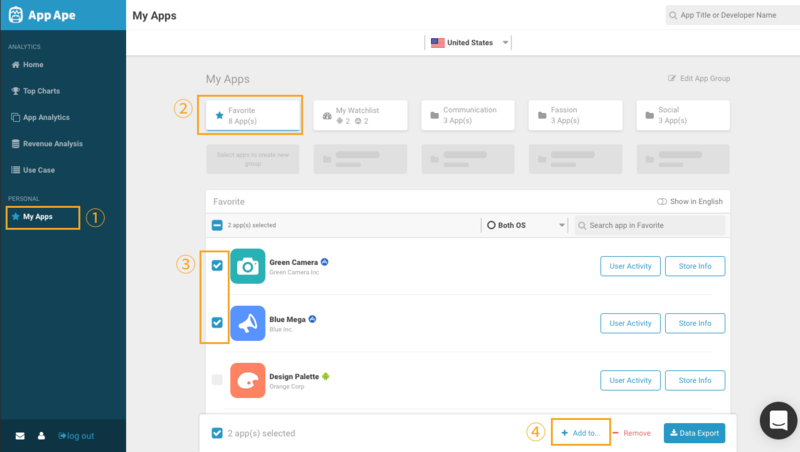 ⑤ When creating new application group: Click on “Create New App Group”. ⑥ And enter the application group name (up to 20 characters) and click on “Create”. 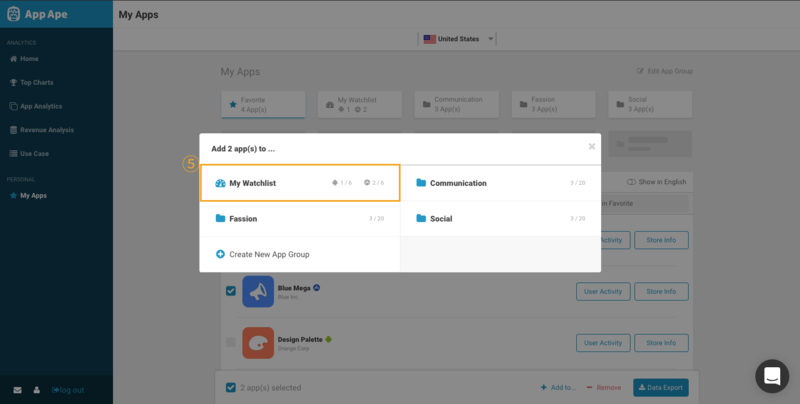 ⑦ To add an app to an existing application group, just click on the desired group. You can change the name of any apps group and set the order of groups. Also, it is possible to search for any individual app in the favorite application group thanks to the search bar. It is also possible to export data by selecting an application group or the desired application in any group. Along with “My Apps”, the App Comparison feature is also currently under improvement. Stay tuned !